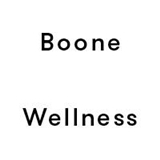 Boone Wellness (Vienna) - Book Appointment Online! Welcome to Boone Wellness. This is where you will find a team of chiropractors truly dedicated to giving you the highest quality of care and a staff that wants to make you feel comfortable and attended to. We've channeled our vision into the space around you in the hopes of creating a welcoming environment. Our mission is for you to feel attended to from the moment you walk in, and to establish a health care practice based on honest communication. To provide you with results that you would want to share with others who need it. To empower you with information and for you to leave with the peace of mind that only comes with honest sharing. Our chiropractors specialize in treating running/sports related injuries, pregnancy and pediatric chiropractic care. Our office also provides massage therapy and acupuncture.